The Oxford Dictionaries group announced its 2016 Word of the Year (WOTY): “post-truth,” or “circumstances in which objective facts are less influential in shaping public opinion than appeals to emotion and personal belief.” In other words, it suggests, facts are now irrelevant; only personal response matters. We probably should have seen this coming. The 2013 WOTY was “selfie” — a photo in which the objective background mattered less than oneself. And self-absorption was rewarded: Ellen DeGeneres’ Oscar selfie with other stars was officially the most popular tweet of 2014, with 3.3 million retweets and 2 million favorites in 151 different countries. The next year, the Word was “vape,” which implicitly encouraged folks to ingest noxious substances without fear of evil consequences. Then finally, to sever any remaining connection with the real world, 2015 eliminated words entirely by declaring an emoji the 2015 WOTY. Tellingly, the emoji was “face with tears of joy.” Laughing, crying, or both together, all that mattered was personal expression. Evidence vanished entirely. As Steven Poole observed, “A well-chosen word of the year tells us something about the cultural conversation over the past 12 months … [It is] one way to plot a cultural narrative.” If that’s true, the WOTY mirrors cognitive disaster. After all, the very concept of intellectual freedom is founded on using one’s intellect to evaluate freely available, accurate information in order to make an informed decision. Yet there are signs of hope for intellectual integrity. First, there’s a hunger for truth out there and some real talent for finding it. When Princeton University hosted a hackathon to develop an antidote for fake news (aka claiming truth for a situation that the writer wishes were true), a team of students did just that. In only 36 hours, they designed an algorithm to detect invented reporting, then whimsically named it FiB since it operates on Facebook, the most famous forum for fantasy information. The algorithm labels sites “verified” or “unverified” so readers can know the difference. Better yet, so many people actually wanted to know what’s true that the site crashed due to high demand; it’s now available on the Chrome web store. Best of all, the creators have also published FiB as an open source code so anyone who cares about evidence can improve it for everyone’s benefit. Post-truth material also presents a wonderful opportunity for teachers, parents, librarians, or any other citizen who’s trying to develop some sophisticated BS-detection skills. Instructional materials abound. Sources as diverse as Snopes, The Washington Post and CNN all offer advice on post-truth detection. So many folks are outraged that a search on “ways to detect fake news” came back with 6,540,000 results in only 0.66 seconds. A follow-up search on “ways to counteract post-truth” yielded 7,730,000 hits. By having students review a varied selection of all those websites, instructors can let them discover, evaluate, and create for themselves a list of “top 10” defenses against intellectual dishonesty, or critique different groups’ take on the post-truth problem. Meanwhile, students will be internalizing what we all need: reality-identification criteria that allow us all to make free, but intellectually informed, decisions. Joyce Johnston has been writing and speaking on digital intellectual property and virtual instruction for more than 20 years. As a non-librarian, but a proud member of the Virginia Association of School Librarians, she has provided updates on intellectual property at its annual conference for the past 10 years. While on the Executive Committee for the 700-person World Conference on Educational Media and Technology (aka EdMedia), she serves on task forces on undergraduate research, evaluation of digital instruction and community wellbeing at George Mason University. Early entry into online instruction led to fascination with educators’ construction of their virtual identities, then most recently to a growing concern over ownership of that identity. She is currently tracking two related issues: first, the ways that the EU’s right to delist (better known as “the right to be forgotten”) allows its citizens to expurgate their digital profiles worldwide. Second, she monitors the collapse of the EU-US Safe Harbor agreement, which means that no one knows what personal data can be collected from employees of multinational corporations and schools, or how that data may be used. With the Oxford Dictionaries announcing its 2016 Word of the Year “post-truth,” facts are now irrelevant and only personal response matters. 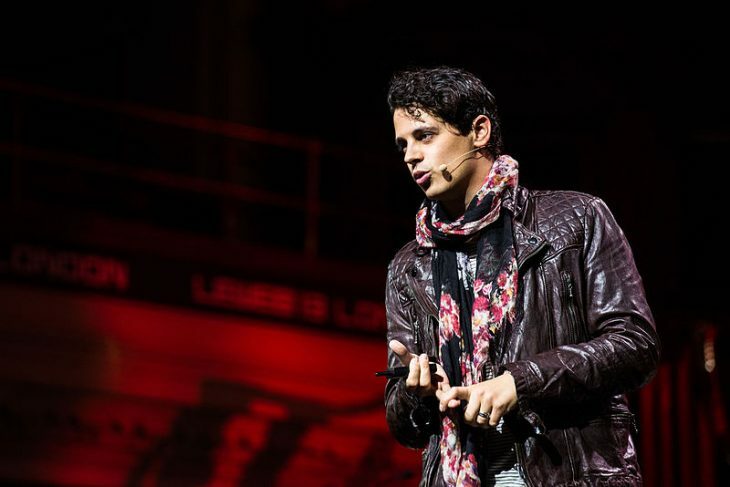 Colleges increasingly withdraw invitations to controversial speakers, raising questions of free speech, public safety and the role of education. 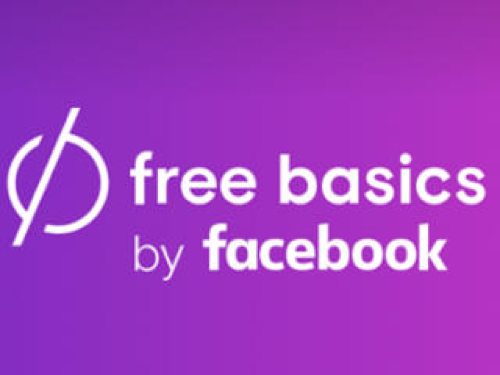 Is Free Basics’ Internet Access Really Worth it? Is Facebook’s offer of free internet access a boon to schools or a ploy to control curriculum? Imagine what grad students could accomplish both in grad school and after if they weren’t burdened by an average $57,600 in debt. 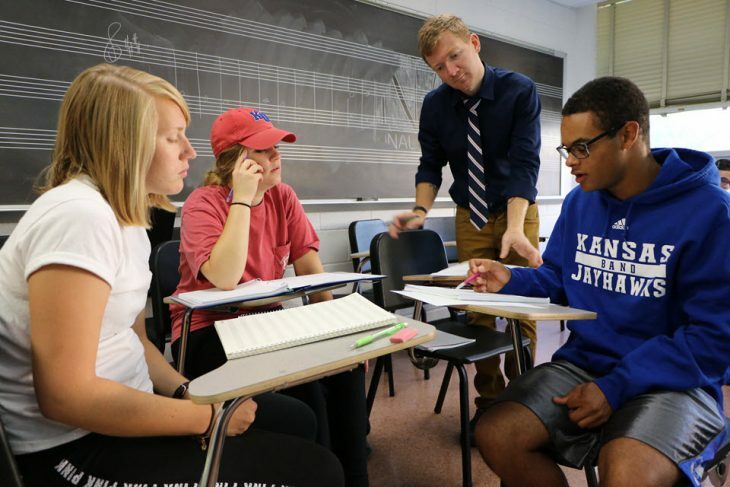 College educators have often lamented the unintended influence of standardized testing on students’ thinking skills. 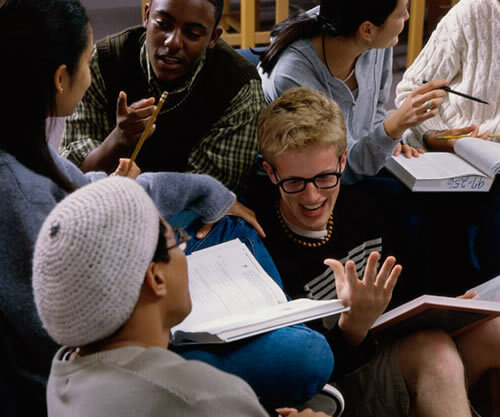 In my discipline, English, freshman instructors note that the short reading passages appearing on tests have limited students’ ability to follow—or even finish reading—longer pieces. Worse, as NCTE has noted, the tests’ multiple choice format gives readers the impression that every text has one, and only one, definite meaning. My previous posting explored the phenomenon of Sci-Hub, a site dedicated to providing free access to more than 50 million academic papers without regard to their ownership status or to copyright laws. This post looks at the legal issues involved, in contrast to the previous post’s articulation of the argument for open access. Sci-Hub: Research Crusader or Copyright Criminal? 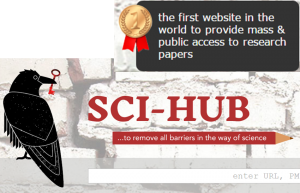 Sci-Hub is an online repository of over 51,000,000 scientific academic papers and articles, available through its website. New papers are uploaded daily after accessing them through educational institutions. Founded by Alexandra Elbakyan from Kazakhstan in 2011, it began as a reaction to the high cost of research papers behind paywalls, typically US$30 each when bought on a per-paper basis. 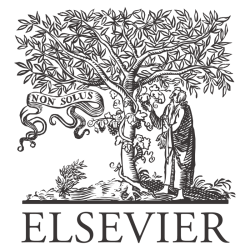 Academic publisher Elsevier has in 2015 filed a legal complaint in New York City alleging copyright infringement by Sci-Hub. 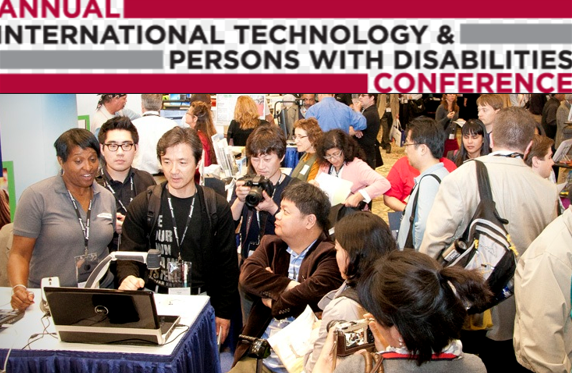 Last week marked the 31st Annual International Technology and Persons with Disabilities Conference, the world’s largest gathering of people who develop or use assistive technology and the only one to be hosted by a college–California State University, Northridge (CSUN). It is a critical source of inspiration and information for multiple handicapping conditions, but especially for the visually impaired or blind. Starting last November, Facebook began refining an artificial intelligence tool to analyze photos. As Mark Zuckerberg explained to an audience in Delhi, “If you are blind and you can’t see a photo, we can have our AI look at the photo and read an explanation of that photo to you.” And, as Zuckerberg pointed out, using machine interpreters instead of humans means that photos can be interpreted at any time, in any location, for anyone with visual limitations. Common Sense Media: Promoting Family Values or Dictating Them? These days, Common Sense Media’s initiatives contain a less than subtle paternalism based on the conviction that its values should control children’s learning experiences. Early pronouncements like Core Belief #6 (“We believe that through informed decision making, we can improve the media landscape one decision at a time”) suddenly come across as a determination to reform that landscape in its own image. Stay updated on intellectual freedom news by subscribing to receive an email when a new post is published on the Intellectual Freedom Blog. The Intellectual Freedom Blog’s purpose is to educate and encourage discussions about intellectual freedom principles and promote the value of libraries, librarians, and professional membership in the American Library Association (ALA). The blog is managed and edited by staff of ALA’s Office for Intellectual Freedom (OIF) to raise awareness of time-sensitive news, issues in the field, upcoming events, helpful resources, and the work of members. Our writers represent a broad range of types of libraries, backgrounds, viewpoints and passions. Publication by the Intellectual Freedom Blog does not constitute an endorsement of the content or represent the official position of OIF or ALA. Content will align with ALA policy or will be clearly stated otherwise. All writers are required to consent to the policy and purpose of the Intellectual Freedom Blog. Lively commentary and reactions to posts are welcome but are moderated by OIF staff. 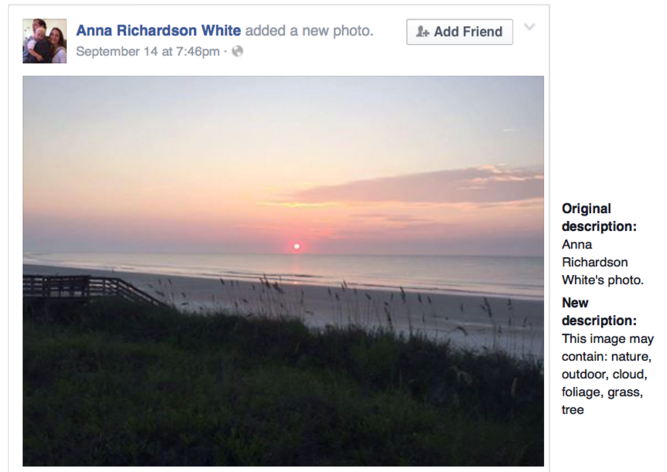 Comments should be relevant to the specific post to which they refer. OIF reserves the right to remove, or not to publish, comments unrelated to the topic of the post or purpose of the blog. Spam, flaming, personal attacks, and off-topic comments are not permitted.